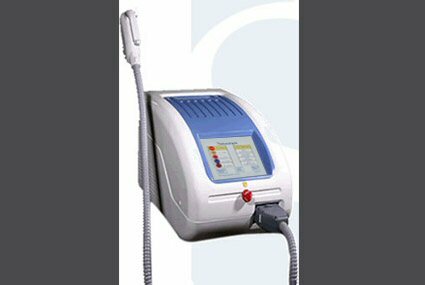 SkinBusiness offers a highly effective pulsed light device with multiple wavelength filters for performing Hair, Pigment, Vascular, Acne and Skin Tightening procedures. Equipped with both Auto Mode and Manual Mode, the NaturaLight is designed for all levels of operator expertise; from the demanding and experienced expert, to the first-time user, and priced to fit any aesthetic business. Hair removal and pigment removal are two of the most requested aesthetic procedures and a well designed pulsed light device is an excellent choice to accommodate this demand. In addition, many pulsed light devices can perform a wider range of procedures, giving an aesthetic practice an extremely versatile system. SkinBusiness offers the NaturaLight, a pulsed light system that can perform multiple procedures with the quick change of a filter cartridge, dramatically reducing maintenance and replacement costs as compared to similar devices. Coupled with a large spot size and fast repetition rate, the NaturaLight can deliver a treatment in a very short period of time. With numerous possible setting combinations, a high maximum fluence and a competitive price, the NaturaLight will fit any aesthetic practice in terms of both their needs and budget. The NaturaLight is equipped with the latest in pulsed light technology while keeping the needs of both the technician and patient in mind. The Auto Mode requires a simple decision from the operator on how to set the device and produce superior results, even with limited system experience. For the more knowledgeable technician, the NaturaLight has a Manual Mode to permit the adjustment of all system parameters, creating a customized treatment to fit any situation suitable for a pulsed light device. Being able to change the system parameters, including pulse duration, total pulse width, number of pulses and fluence, gives any operator the ability to perform at the highest levels required in today's demanding aesthetic marketplace. If you are seeking more information on how to compare the features and benefits of pulsed light devices, the following information is a "must read".click here. 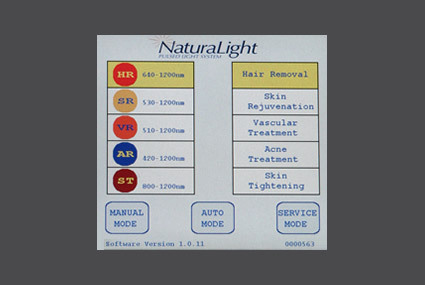 To view a short video on the NaturaLight System, click here.